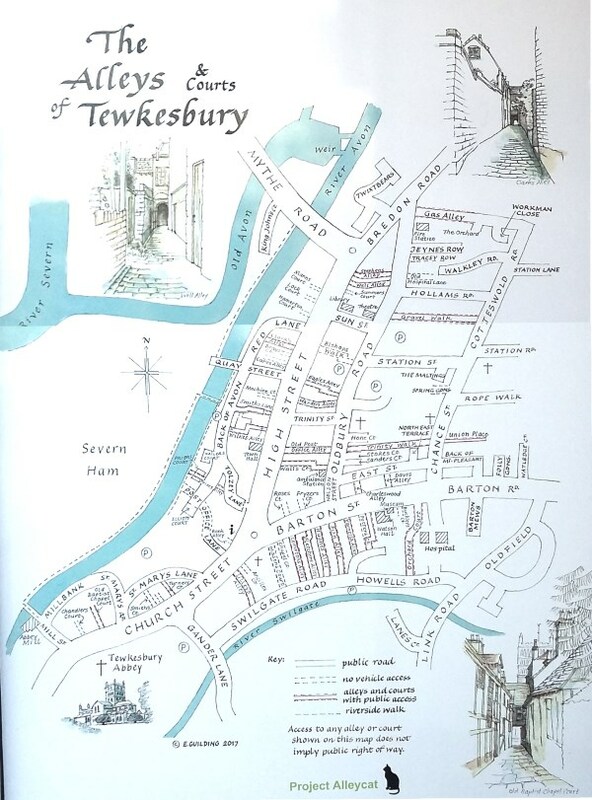 Tewkesbury has a unique town pattern based on the three main roads hemmed between the Avon river and the Swilgate stream. Access to the land from the streets created gaps between the buildings which turned into alley ways. These right's of access allowed cottages and workshops to be built behind the main frontage of the roads as plots became sub divided. Tewkesbury still has most of the alleys and 'courts' today, although some are blocked by doors. Steve Goodchild has been researching them and his articles on the history of them appear here.